Samsung was looking for an opportunity to provide an employee engagement experience that met their health and wellness criteria. Forming a corporate team with Team Reeve® was a perfect fit. With guidance from the Team Reeve staff, Samsung recruited an impressive team of 25 runners. The Team Reeve staff and coach provided Team Samsung with fundraising and training tools to make their marathon experience a memorable one. Samsung has also been a longtime ally of Team LeGrand. When Eric LeGrand was celebrating the fifth anniversary of A Walk to Believe, Samsung showed their support by organizing a corporate team to lace up and tackle the 5K walk and run. Goldman Sachs employees took time out of their busy schedules to volunteer at the Reeve Foundation headquarters as part of the Lunch & Learn program. Throughout the day-long program, the volunteers learned how the Reeve Foundation mission drives research and quality of life initiatives forward, and the impact of the Reeve Foundation on the paralysis community. The volunteers also participated in an activity to help improve the Paralysis Resource Center’s Lending Library, which is a vital resource center for the paralysis community. 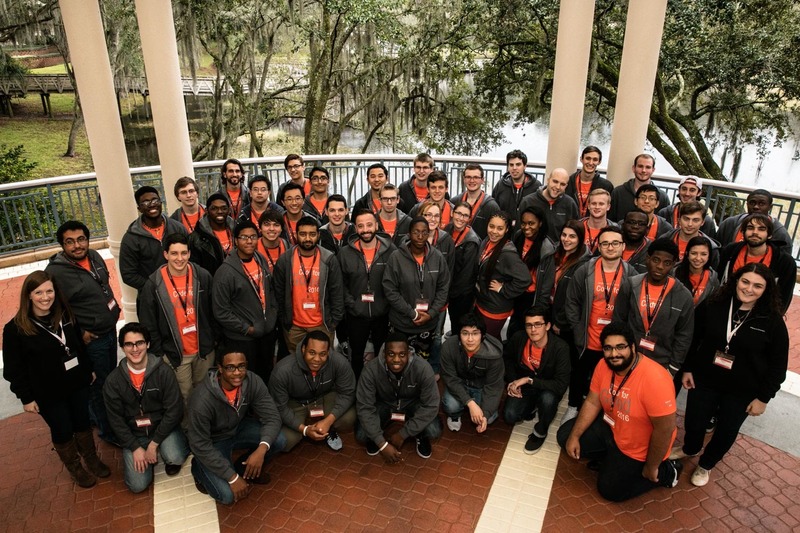 Technology has an enormous impact on the paralysis community, and the JPMorgan Chase Code for Good Challenge in Tampa was no different. Over 24 hours, technology students from leading universities alongside JPMorgan Chase staff worked to develop a digital application that would help the paralysis community discover and navigate accessible locations, while also bringing awareness to destinations that are inaccessible. The students and employees had the opportunity to learn about the Reeve Foundation’s history, its mission, and hear directly from members of the paralysis community – including a surprise teleconference with Eric LeGrand. Gallo Wine and Gallo Wine Sales of New Jersey were looking for an opportunity to make a big impact with their spring wine sales. Partnering with Team LeGrand, Gallo focused their sales efforts around Eric LeGrand and his dedication to raising awareness for the 1.3 million Americans living with spinal cord injury. For every case of select wine sold in New Jersey, $1 will be donated to Team LeGrand, supporting spinal cord research and getting us one step closer to the end zone – cures for SCI. Eric LeGrand kicked off the sales event by speaking with the NJ sales team, educating the group on his story and his work with Team LeGrand, and thanking them for their generous support. When Mike Nichols sustained a spinal cord injury during a high school hockey game, he did not realize that his story of resilience and courage caught the attention of radio personalities, Boomer Esiason and Craig Carton. Blown away by Mike’s commitment to raise awareness for spinal cord injury and the Reeve Foundation mission, WFAN wanted to honor Mike and his family. For the past two years, Boomer & Carton and WFAN have sponsored an unforgettable hockey game to raise critical funds for the Nichols family and the Reeve Foundation. The event features former players from the Devils, Rangers and Islanders. It's a perfect opportunity for these rival teams to hit the ice for a great cause and unite a community behind an incredible man. Janssen, part of Johnson & Johnson Family of Companies, provided its employees with the opportunity to learn more about living with a disability, further reinforcing the importance of what they do each day as researchers, physicians and caregivers. As a part of a program for National Disability Employee Awareness Month, Janssen employees met Eric LeGrand who reflected on his life with a spinal cord injury and the importance of mobilizing support for the Team LeGrand mission. In addition, the program featured information on their company’s disability commitments, driven by their Alliance for Disability Leadership.